Techsoup Egypt is a program administered by Professional Development Foundation (PDF) as part of its vital role in developing non-governmental organizations which, in turn, realize their important vision in serving unprivileged areas. We believe that these organizations can have a greater impact on society through the appropriate use of technology. that is where techsoup egypt comes in to provide the necessary assistance on how to correctly and efficiently use technology. Techsoup Egypt program grants a wide range of products for the eligible organizations, donated by global technology companies such as: Microsoft and Symantec. Founded in 1987, techsoup Global is a non-profit organization aiming at providing NGOs with the technology resources and knowledge they need to operate at their full potential. As of december 2009, Professional Development Foundation (PDF) was selected as the local partner in egypt assigned to implement the donation program. Being the official representative of Techsoup Global in Egypt makes PDF responsible for operating the Techsoup Egypt program. Becoming a TechSoup Global partner is a unique opportunity for PDF to help renovate the entire technology landscape for NGOs in egypt, as well as promoting it as a development accelerator for NGOs – all in efforts to ultimately create a strong and able civil society. Facilitates coordination and information sharing both internal and external to the organizations. Facilitates communication and information flow. In partnership with IT giant Microsoft, Techsoup Global was able to expand the donations program globally with egypt being one of top priority countries. Techsoup Global provides the platform, products, central administration and support necessary for the program, while PDF localizes and delivers the program in egypt as well as managing the eligibility processes. 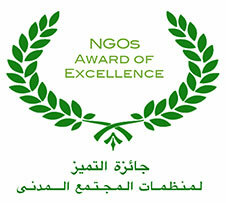 All non-profit and non-governmental organizations can apply. Address of organization’s headquarters should be the same in official registration documents. Organizations must have PCs in place. Organizations must meet the worldwide eligibility criteria.